S’mores, sleeping bags, barbequing and bug spray are all part of a quintessential camping trip. But maybe even more important than all the gear and goodies you’ll need to create the perfect overnight outdoor adventure, is an ideal location to set up camp. Click here to see photos of 16 spectacular national park campgrounds. Our national parks offer access to some of the nation’s most scenic and stunning landscapes, which makes each the perfect backdrop for a picturesque camping trip. Not that other campsites across the country aren’t worthy of visits from overnight adventurers, but when it comes to a truly memorable camping experience, what could compare to a night spent watching the sunset amidst tremendous rock formations in the California desert? Or waking up to a beachside sunrise shaded by palm trees? Plus, our national parks are so diverse that each has something to offer for every type of camping personality. Sleep directly under the stars or seek the shelter of a rustic log cabin. Pitch your tent among magnificent mountain ranges or set up sleeping bags on the beach. Last year, we set out to rank the 12 best national park campgrounds in America, and we still stand by our picks on that list. But this year, we wanted to highlight even more spectacular sites so that you can catch an even greater glimpse of some of the best camping spots that the U.S. national park system has to offer. This round-up was constructed based on suggestions from employees of the National Park Foundation. After all, it is there job to know the parks intimately. 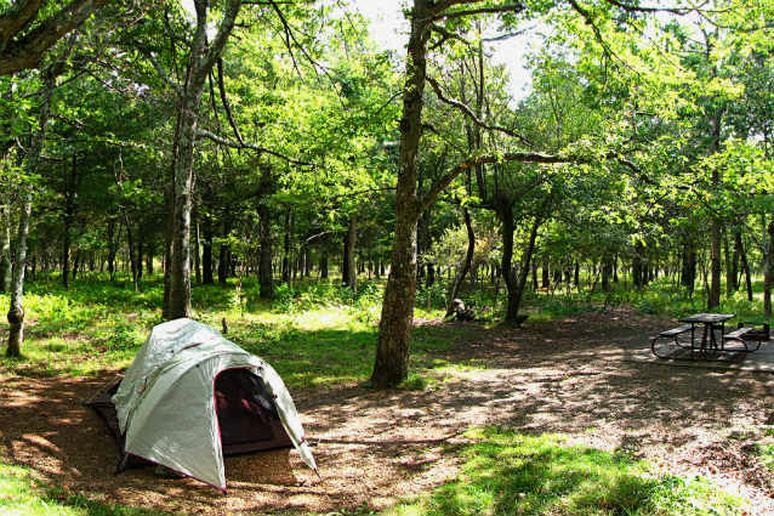 These 16 parks offer a wide range of exciting camping adventures, so if your s’more supplies and sleeping bags are packed all that’s left to do is figure out where you’d most like to spend a night under the stars.